In February, Escuela Caracol was fortunate to host a group of Waldorf students and parents from the state of Vermont in the US. The family who organized the visit is a Caracol alumna family, the Devoe Tallutos. Their family of five spent a year at Caracol in 2009, and since then they have returned to visit us many times. This year they decided to invite members of their community at the Lake Champlain Waldorf School in Vermont come along with them. In total, they were a group of 14 students and parents who were interested in both Guatemala and Waldorf education. While at Escuela Caracol, the group worked tirelessly on a number of projects: they built a new coop for our chickens and a small pond for turtles, they designed and made costumes for our class 4/5 play, and they refinished the doors on the primary grades classrooms (which were in a sad state from the extremities of sun and rain here). They even took their break times to play with our students and show them how to make jump ropes. During their weeklong visit, they also found time to pour the foundation of a local home, climb a moutain peak to watch the sunrise over the lake, attend a dance class at La Cambalacha, learn how to make tortillas, kayak on the lake, take in many sights, and of course go swimming. Their work was a huge help to Escuela Caracol, and the visit was equally meaningful to the group. Many of the students are already talking about their next visit to Guatemala. 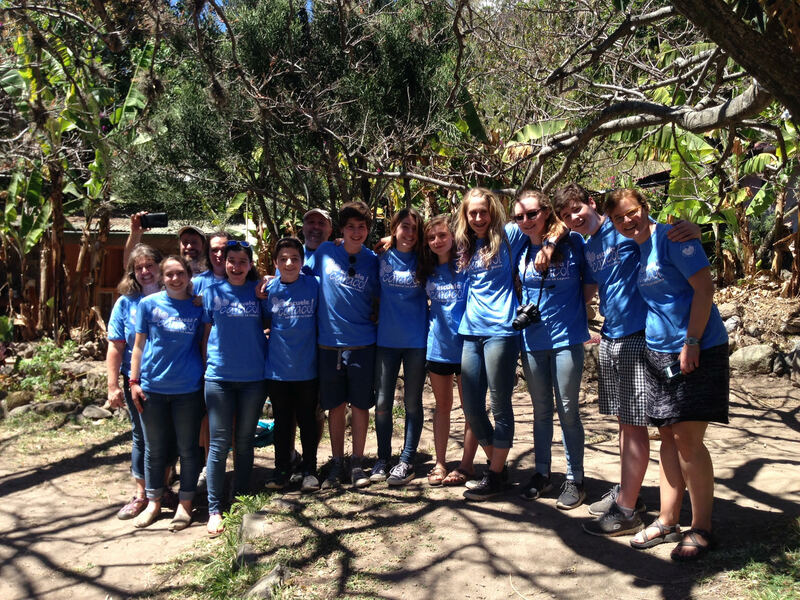 Escuela Caracol sends its thanks to this group, and especially to the Devoe Talluto family!